There’s no better time than now to learn how to play guitar, the technological advancement that the world experiences on a daily basis makes it very easy to learn how to play. You could be in Antarctica while your tutor is in South America, and you’ll still get to learn how to play without any problem. The only challenge that comes with this is that you get to see a lot of platforms where you can learn but you don’t know the method that best suits you in terms of quality and price. 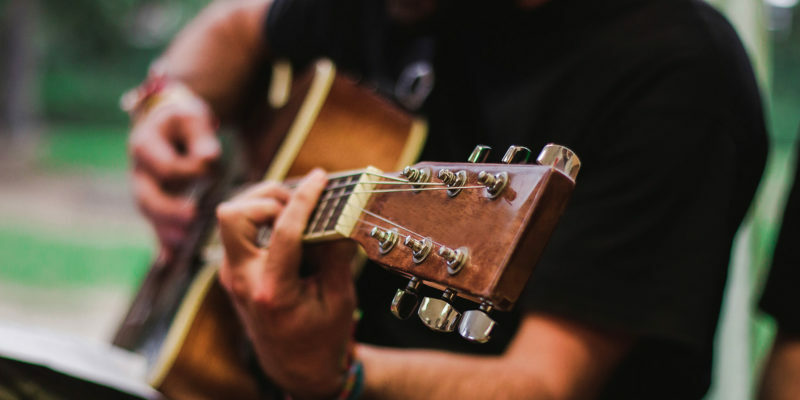 Learning to play the guitar could be a bit challenging because there are some technicalities that a learner must master to make it easier – if that’s not available, you might lose motivation even before you start. With our wide range of experience when it comes to learning how to play the guitar, we’ve reviewed some of the best sites for you to learn and become an expert at playing the guitar. Two of the best websites where you can surely learn and become proficient at playing guitar are Guitar Tricks and JamPlay. Perhaps there’s no better place than guitar tricks for you if you are confused of where to start the guitar training. Guitar Tricks contains a lot of step-by-step and well-organized training videos for beginners, these video lessons are set up by veterans who know exactly what beginners need to find learning the guitar interesting. We all know what it takes to teach our kids how to read and write. They start with learning the alphabet, to calling the short words, and so on and so forth. That’s the exact structure that is set up on guitar tricks. Their structure ensures to guide you through the basics and on into more intermediate concepts. They offer free trial lessons for potential clients, all you do is sign up with your details. They also do follow ups to ensure that you continue your lessons via the paid membership, which is reasonably cheap when compared to what you’ll get elsewhere. Guitar Tricks also occasionally offer a free trial and discounts. The only downside about Guitar Tricks is that it might be quite restricted to beginners and intermediates. Guitar Tricks Core Learning System is perfect for beginners though, and in my opinion – their services are top notch. Jamplay boast of extensively comprehensive guitar lessons online. For those who have a great interest in heavy metal and country, you’ll get to learn everything you love on JamPlay. According to several online reviews, quite a huge number of users would recommend JamPlay to others who are ready and willing to learn how to play the guitar. JamPlay offers you several styles. Fingerstyle, classic rock, country, metal… whatever you’re into, they give you a worthwhile experience. Another exciting thing about JamPlay is that everyone gets to learn something, you get to add to whatever you know, no matter how good you are at playing the guitar. Those who never had any experience at all with playing the guitar reportedly loved the lessons on JamPlay. The downside about JamPlay is that they are slightly more focused on intermediate and advanced level players. You also can’t download videos on JamPlay – if you want to learn it, you have to watch it online. Hope this helps you get the most out of your playing. Enjoy!